Let The Pool Store test your water for FREE! Don’t wait for your pool to tell you there is a problem. Be proactive and have The Pool Store test your water weekly for FREE! Just bring in an 8-12 ounce sample from 12-18” below the waterline and we will let you know the health of your pool water. Your swimming pool water is comprised of different components, which collectively form your water's chemistry. The balance required among these components is critical to achieve a clean and clear pool with water that sparkles. Each chemical component has a known range of acceptable parameters or an ideal zone. Providing this ideal operating environment is necessary for the sanitizing system of choice to function properly. Once all of the chemicals are balanced and working together, the result should be a balanced pool that looks, feels and smells great. Salt Level The ideal range on your salt meter will be depend on the Manufacturer and Type of Cell. The most common levels to maintain a healthy working cell are 3000-4000. The salt level in a salt water swimming pool must be managed properly in order to take advantage of a relatively large investment made when purchasing the chlorination system that creates the chlorine for the pool. If the salt level is allowed to move outside of either the low or high parameters required by the model of chlorinator installed, pool problems are soon to follow. The good news is that maintaining the proper salt level in a salt pool is a simple task and only requires a small but consistent investment of time and energy. Chlorine Level The recommended range of chlorine in our Valley pool’s is 3.0-5.0. Chlorine works by breaking into two parts when it is introduced to the pool water, hypochlorite ion and hypochlorous acid. These two parts kill the microorganisms that like to congregate in your pool by attacking the cell walls of the organisms. First they attack the lipids contained in the cell walls, and through that they gain access and can kill the other organelles within the cell. This oxidizes the organism and makes the water safe for humans to enter. pH Level An ideal pH range is 7.2-7.8.This process is extremely important for several reasons. Firstly it provides comfort to your bathers (zero eye burns or irritations). Secondly the efficiency of your pool sanitizer is kept constant. Thirdly, you will be providing protection to the mechanical parts in your pool eqiupment. Therefore you need to understand the best ways to control and maintain it. Alkalinity Total alkalinity should be between 80-120ppm. Alkalinity measure’s of the alkaline materials that are in the water. Some alkalines in the water are needed to serve as “buffers” for the pH. Total Alkalinity should be between 80-120 ppm (parts per million). Always adjust your alkalinity measure first and then work on the pH. Alkalinity and pH are closely related and both are influenced by the other. Conditioner Level Conditioner is most effective at a range of 80-100ppm. Pool stabilizer or pool conditioner allows you to get the very most out of your chlorine sanitizers. Ultraviolet radiation from the sun breaks down chlorine molecules, decreasing the effectiveness of your chlorine-based swimming pool sanitizers. However, pool stabilizer contains cyanuric acid or s-triazintrione, which combines with the chlorine in your swimming pool, making the chlorine less likely to react to sunlight. As a result, your chlorine will last longer so you can use less. Calcium Hardness The ideal range for calcium hardness is 200-400 ppm. Phosphates Levels In the Coachella Valley we like to see a phosphate level below 300ppb. Phosphates can increase the likelihood of algae in swimming pool water and can also enter the water from such sources as: decaying plant matter, fertilizers, mineral treatment chemicals, contaminated well water, acid rain, contamination with soil, ground water runoff, bird droppings, bather wastes, urine and sweat. Phosphate is a vital plant nutrient and the presence in swimming pool water, even at low concentrations, can cause accelerated algae growth in poorly maintained pools. 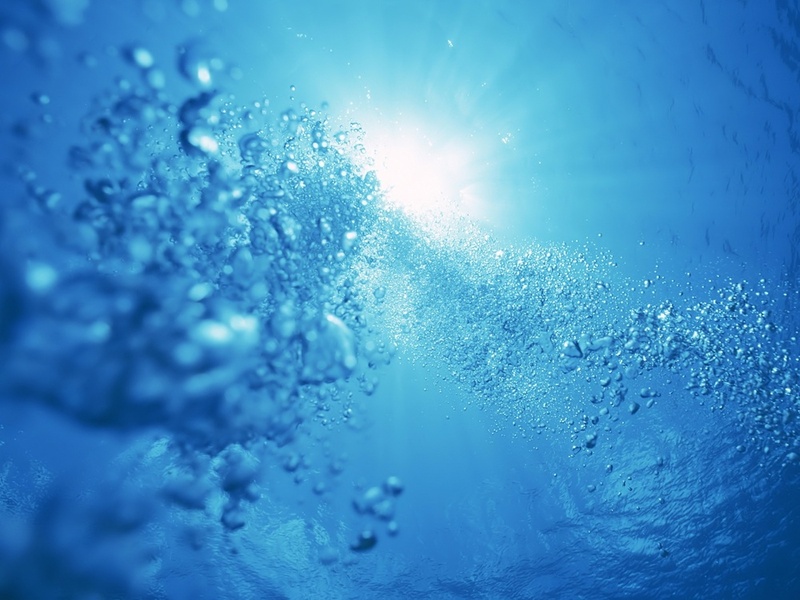 Higher levels of phosphates can make algae control more difficult and increase the amount of sanitizer required to maintain satisfactory control of algae.